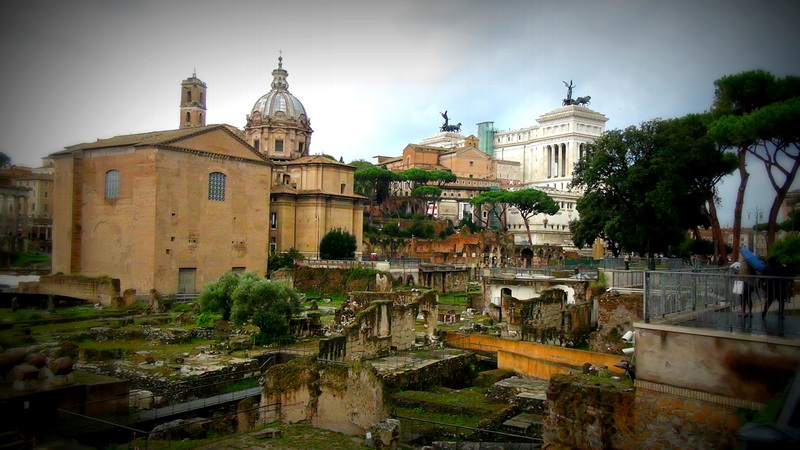 Last month, I travelled to Rome, the ancient and modern city known for being somewhat of an open air museum. Being a history fanatic myself and absolutely intrigued by the Bible, as always I was in inner rapture. During the afternoon of the first day I visited the ancient area of the Forum leading to a place known as “Mamertinum”or the Mamertine Prison. 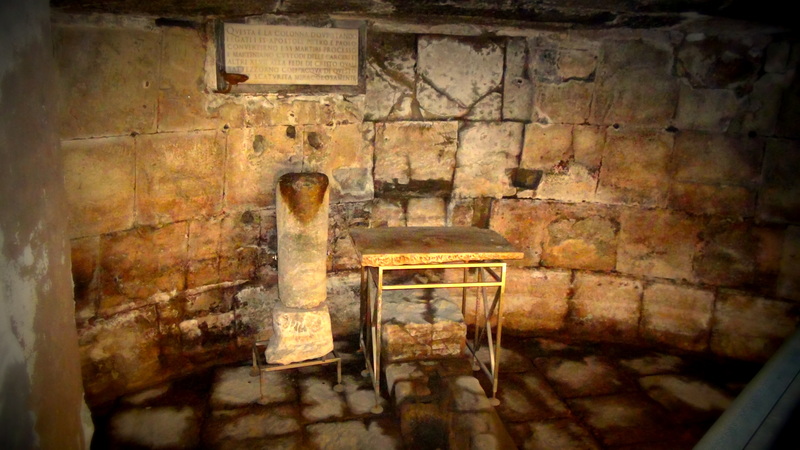 This ancient prison is within a stones throw of the ancient forum, a Comitium which once felt the feet of the Apostles Peter and Paul and also of Luke and of Aquila and Priscilla. The Gospel of Luke and Acts of the Apostles were probably written while Luke was in Rome. We also know that Luke was with Paul during his time in prison. This is understood from 2 Timothy 4: 11. 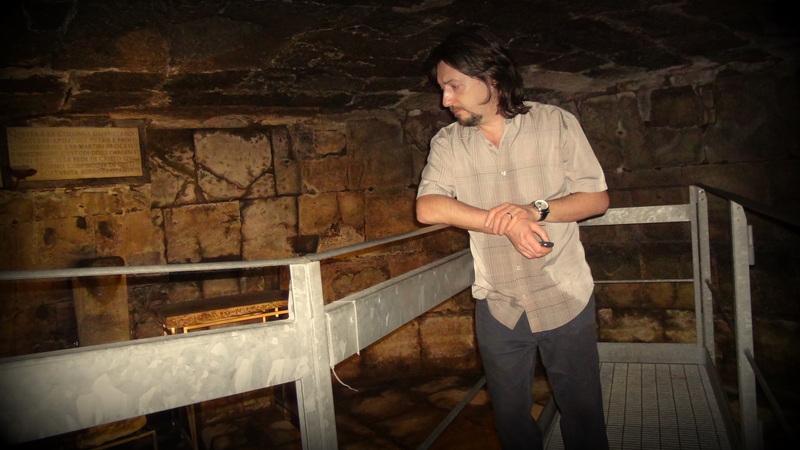 The Mamertine prison, known historically as the “Tullianum”, was probably constructed between 640-616 BC and was likely a cistern. The amazing thing for me was that scripture was written from this damp dark cell. On entry down the stairs to the upper level of the complex, I saw ancient Frescos. These can be found on the walls and show Christians depicted with the arms and hands held out. Over recent years Archaeologists have uncovered evidence that have connections to St Peter as early as 7th century. The evidence also suggesting the Mamertine was used as a Church by the 8th century. The claim that St Peter was in Rome goes all the way back to the 1st century from his probable coded use of the word “Babylon” for Rome in 1 Peter 5: 13, 2 Peter 5: 13, and his crucifixion linked to John 21: 18 where Jesus foretold him of his future suffering. The claim of his crucifixion in Rome comes from the 1st or 2nd century “Acts of Peter” which we know was in circulation in the 2nd century. The “Acts of Peter” claims that Peter was crucified upside down in Rome at his own request. This claim is also affirmed by Clement between AD 80-98 in his letter to the Corinthians (chapter 5). An event which probably took place near where St Peter’s Basilica now stands around AD 64 during the reign of Emperor Nero. There was a time when condemned prisoners were held in this cell before execution. We know for certain that 2 Timothy was written from the Mamertine and it is possible that Philippians was also written here too. If Peter was in fact executed in Rome then he most certainly was held in the Mamertine, as a strong tradition affirms. If that be true which I think it is, 2 Peter may also have been written in this dungeon. Other Biblical texts possibly written from the Mamertine or nearby, include Philemon, Ephesians, Colossians and possibly Galatians. It is one of the most outstanding thoughts and realities of life that the Truth of the Gospel is that suffering produces great things. Persecution never destroys the Church, on the contrary it enhances it. It is truly amazing to think that such a light as Scripture itself could come from such a dark damp cell. That such a light could truly shine from such a dark place. I love this little prison.